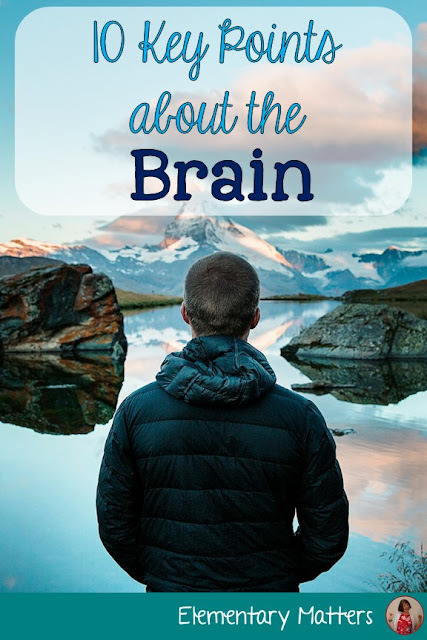 As I've mentioned on previous blogs, I'm fascinated by how the brain works, and have done a lot of reading about brain based learning. 1. Students can only take in 2 - 4 chunks of information per sitting. These sittings should never last more than 4 - 8 minutes. 2. Students need frequent review and reflection time for these chunks to become part of the long term memory. 3. The brain is a parallel processor. That means the brain needs to have more than one process happening at a time, such as seeing and hearing, or talking and moving. If only one thing is happening, the brain becomes bored and seeks other stimulation, such as daydreaming. 4. The brain needs to make associations and find patterns. We need to help students use prior knowledge in order to remember what they are learning. 5. Engaging emotions will help learning along. Emotions are key to memory. 6. Engaging the students socially will also help the brain. There should be a variety of large group, small group, and pairs. Independent work should take up less than 50% of the child's time in school. 7. Engaging students physically is another hook to learning. Finding ways to connect the learning to moving will ensure learning. 8. Music is magical. It connects us emotionally and helps the memory. 9. Practice does not make perfect, but good practice makes better. Practice can make learning harder if the practice is inaccurate. Feedback is essential. The best feedback is real, honest feedback. 10. 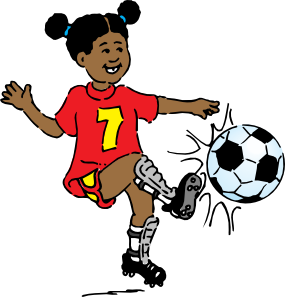 Exercise and movement are essential to learning. 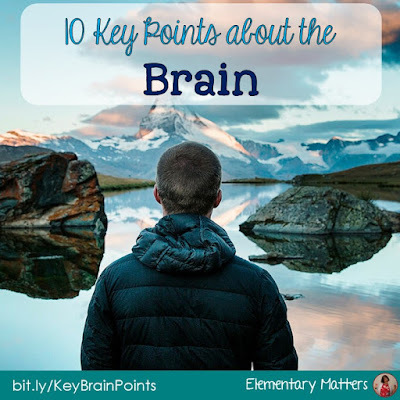 Phys Ed, recess, and other forms of exercise ensure the brain will get sufficient oxygen. Thanks for helping me organize my thoughts! Wish me luck on Thursday! Great stuff! I am learning so much in Master's program. The best part about all this information, is if you take the time and apply it in the classroom, it honestly does change the learning environment! Good luck! I love brain research. Thanks for sharing. Thanks, Samantha, I agree, it's fascinating stuff! As you can see, I love brain research, too! Perfect! This should be up in every classroom, posted in each principal's office and sent home to the parents on Back to School Night! (Do I have permission to use?) This looks great and very concise - summarizing many research books I used! Good luck with your endeavors !!!!! Yes, you can use this, as long as you give me credit!